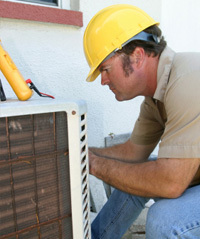 North NJ HVAC Services is a reputable, well known, and certified company, that you can trust for more than one reason. We provide the most efficient heating and cooling system services in the area of Newark, New Jersey. Rising above local competition, we guarantee fair pricing along with quick and easy emergency ac repair. Becoming a leader in HVAC services, our customers benefit from our heating, ventilation, and air conditioning services. Our services are centered around emergency air conditioning repair, with no extra call out fees, and fully trained and experienced technicians. Our reasonable pricing and quality work have become a delight among consumers. Understanding of emergencies that can occur at any hour during the day, we are available 24/7, relieving our clients from stressful situations. We take pride in the homes that we service, offering the latest products, components, and HVAC systems so that you don’t ever have to suffer the heat or cold Newark brings! 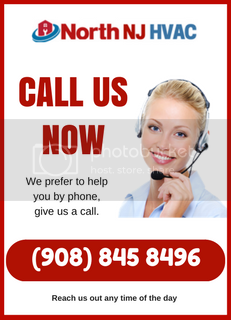 Need of Emergency HVAC Services in Newark? Trust our professional team. Call us today (908) 845-8496! A great feature that we hold is our reliable and professional staff. Every single one of our technicians is certified, licensed, and insured. Completing a series of screenings and background checks, you can rest assured you are in good hands. Our technicians are highly trained and experts in their respective areas, ready to perform any task at hand. We take pride in the quick, effective service we give our customers. Centered around emergency air conditioning repair, we are available any time of the day, and deliver honest opinions about what your home needs. With us, you don’t have to worry about receiving biased answers or about wasting time or money. Visit our video testimonial and online review section on our website to read about the experiences others have had with us. We take pride in the quality work we give our customers and continue to develop new ways to make our customer experience better. With our reasonable prices and quality work, we rise above the local competition. North NJ HVAC Services understands that sometimes air conditioning repairs are not in our monthly budget. Our staff provides you with the best price available to save you time and money. We also have limited time offers and promotions year round. Consequently, you’ll receive quality repair or installation of an HVAC system that guarantees to fix any problem. Remember, all our work is guaranteed, or your money back! Got an emergency? Phone (908) 845-8496 to book a technician to fix your air conditioner. There is no fee when calling, and all pricing quotes are free of charge. Ideal for emergency repairs, upon scheduling an appointment, we’ll strive for same day service, restoring your AC unit and we will have it working like new in no time! Newark zip codes we serve: 07104, 07105, 07107, 07103, 07106, 07112, 07108, 07114, 07102, 07017, 07111, 07175, 07182, 07184, 07188, 07189, 07191, 07192, 07193, 07194, 07195, 07198, 07199, 07101.